Many people associate the word ‘gourmet’ with cholesterol-laden dishes served in expensive restaurants. Itâ€™s very tasty, but itâ€™s bad for you. No more! Mediterranean Healthy Gourmet presents a new concept of gourmet, which is both delicious and healthy, based on the secrets of the Mediterranean kitchen: a rich variety of tastes, fine dishes that are easy to prepare, and the freedom to enjoy an excellent meal every day, and stay satisfied and healthy. Yes – itâ€™s possible! Fresh and excellent ingredients. These can be purchased at any local store and market. Easy cooking and simple preparation processes, done with available equipment in no time. In this book you will find dozens of recipes, all of which have been tried, perfected and adapted by the author to the wide audience over the course of twenty-five years. 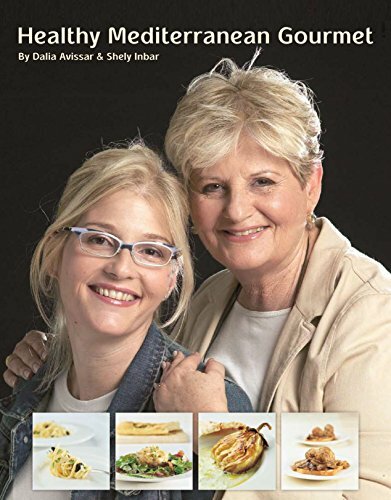 The book offers a wide range of gourmet foods that can be easily made at home with regular and affordable ingredients. You will find suggestions for gourmet home meals for the family and for guests, for daily meals and for festive occasions, for adults and children. Among the recopies are also easy home fast-food to prepare shortly after work, and other comfortable solutions for a healthy lifestyle for you and your entire family. ËƒËƒËƒ Eat healthier, tastier and easier! Today it is clear that in order to keep healthy in lifeâ€™s race, three fundamental principles must be upheld: engage in regular physical activity, avoid smoking, and eat a healthy diet. Mediterranean Healthy Gourmet provides a response to the issue of healthy eating – every day. Scroll up to grab your copy of Mediterranean Healthy Gourmet now!